As a 20-year-old, I'm not super concerned about anti-aging/wrinkles just yet, but I am definitely keen to try anything that will put both of these things off. After spending a lot of time outside in the sun this summer, I became conscious of some premature signs of aging on my face when a few dreaded dark spots started to appear. 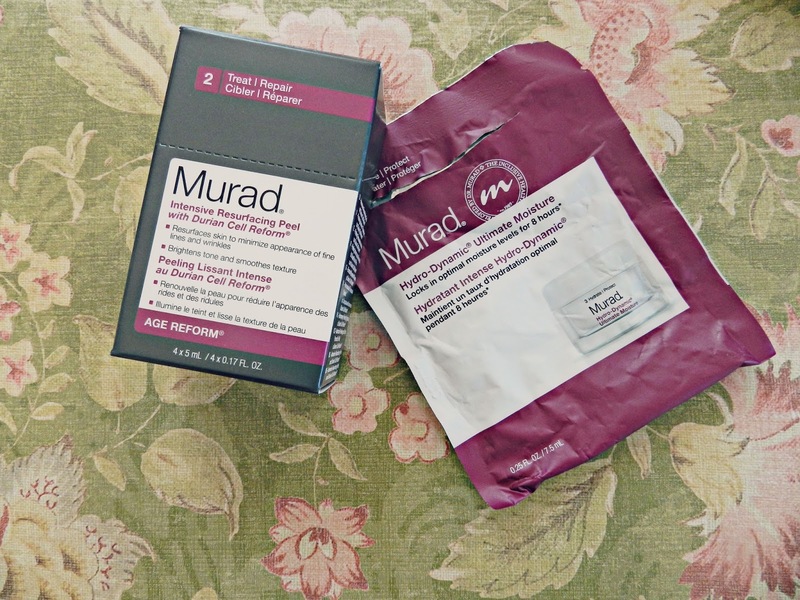 To battle these dark spots early on, and attempt to try and erase the damage my many careless sunscreen-less days had caused, I turned to Murad's Age Reform line. Since anti-aging is not my top priority, I opted to try three simple (and less daunting) products: the Intensive Resurfacing Peel, Rapid Collagen Infusion and Hydro-Dynamic Ultimate Moisture Cream. I LOVE face masks and peels. Whether they're $5.00 or $50.00, and no matter what their purpose is, they always leave your face feeling like you’re fresh out of the womb. For those of you who don't know the difference between a face mask and peel, let me break it down for you. A peel (gently) removes the outermost layer of skin to reveal the smooth layer underneath. This process helps even out dark spots (like acne scars and sun damage), and with continued use, many peels will even fade fine lines. Masks are geared towards working on your skin as is to absorb excess oil, enhance moisture, detoxify, or provide any other type of treatment. If you’ve read any of my past skincare product reviews, you’ll know that my favourite products make me feel like they're actually actively doing something for my skin. I am the type of person who loves being reassured that a product's active ingredients are working hard by an instantly-provided cooling effect on the skin, or the creation of a tingling sensation. 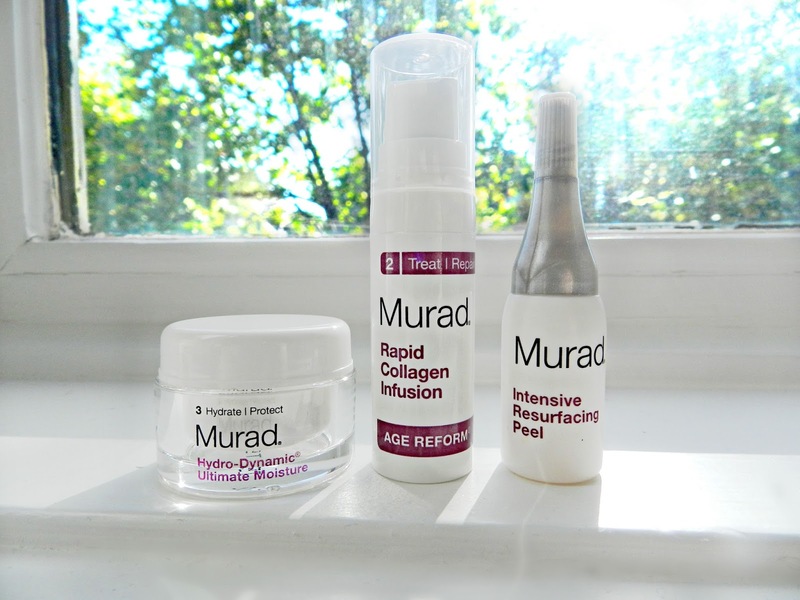 This Murad peel does exactly that. It has a light fresh scent that disappears once applied, and it tingles for the first minute as it begins to interact with your skin. All you have to do is gently massage and apply the peel all over your face after cleansing and toning. It has gentle microdermabrasion from bamboo beads (fancy, I know) and stimulates cell growth/turnover through glycolic and salicylic acid. I can't comment on how well this peel would work on older and/or more damaged skin, but I instantly noticed that my face looked brighter, and felt a lot smoother after only one application. 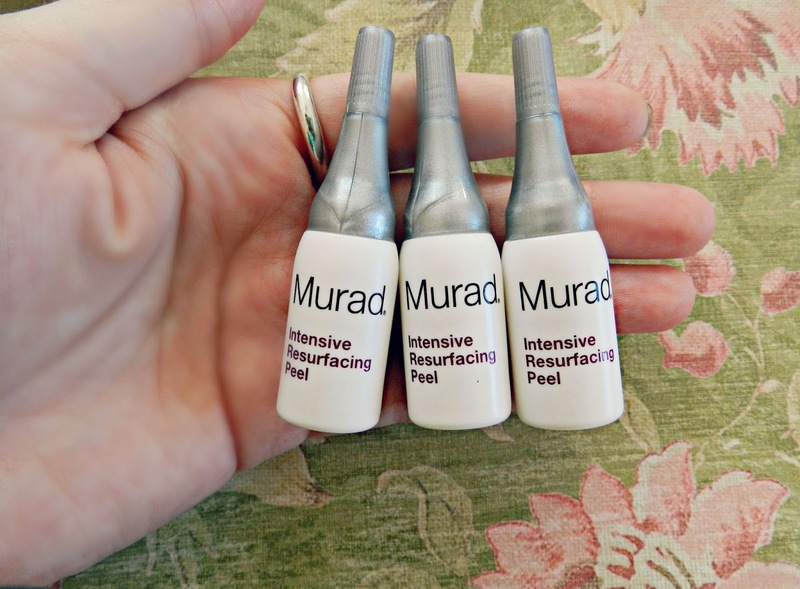 After using this peel three times over three weeks, many of my dark spots had noticeably faded. If you have any lingering acne scars, the Intensive Resurfacing Peel is a product that will definitely speed up the never-ending recovery process. Even though the ingredients and tingling sensation I've talked about may make this product seem a little harsh, I assure you that even someone with sensitive skin can use it. You're supposed to keep this peel on for a maximum of 10 minutes before washing it off with warm water, but because it's so intense you will still feel/see results even if you can only leave it on for a few minutes. The Rapid Collagen Infusion is meant to increase firmness after just one application, improving skin's texture to reduce wrinkle depth. Essentially it is supposed to reveal softer and smoother skin. I used this product at night under moisturizer and found that my skin appeared less dull and tired-looking in the morning, even after some late Netflix nights. Again, I can't attest to how well this product works on fine lines, wrinkles, or firmness, but it definitely has the ability to rejuvenate your skin. The Hydro-Dynamic Ultimate Moisture cream is unique because even though it's part of an age reform line, it's truly an all purpose cream. It claims to lock in moisture for 8 hours while restoring resilience and tone and it truly does all of that. It's fragrance free and super lightweight making it perfect for day-time and night-time use. 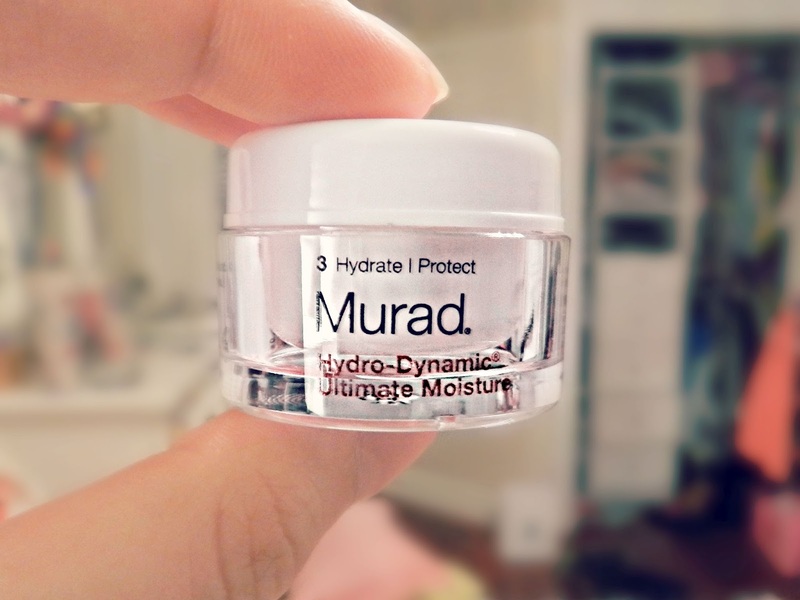 Even though it's lightweight, this cream is still super hydrating and it absorbs into the skin quickly. I also had no issues using it under makeup which is a huge plus for me. Personally I find that drugstore creams are hydrating enough for my skin except for in the coldest part of Winter, so I understand the hesitation towards dropping a lot of money on a face cream. That being said, if you're looking for a rich, lightweight daytime moisturizer, or are already using other products from this line, this is definitely a product to save up for. If anti-aging isn't something you are worried about yet, then this obviously isn’t the skincare line for you. But if anti-aging is something you are starting to think about or, like me, you are looking to get rid of some minor dark spots, I would definitely recommend trying out some of these products. 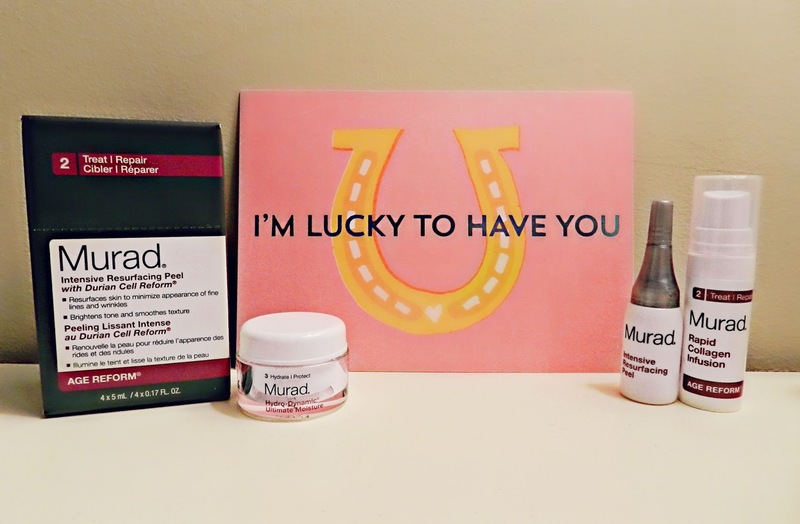 If you are already familiar with Murad products, or are interested in trying them out, click the link below and use the promo code "self" for free shipping!! I have already been very impressed, astonished and happy which is whoever has proven that is all very interesting blog. That is best massage chair evidently a good plan anyway. A lifestyle entrepreneur is someone who is tired of living the template lifestyle blog that most people have accepted and has decided to create a lifestyle by design. This person has a passion to do something and wants to make a living at it even if that means they are not going to make a fortune doing it. China Bulk Wholesale Supplier in Dubai Great, thanks for sharing this article post.Really looking forward to read more. Great. Fashion items for the most part comprise of scents and aromas,Charlize Theron Skin Care however may likewise incorporate fragrance based treatment items.